Burrell steamroller. This traction engine uses the system developed by the British company Charles Burrell and Sons. This company was founded in 1770, with its first steam engine produced in 1848. 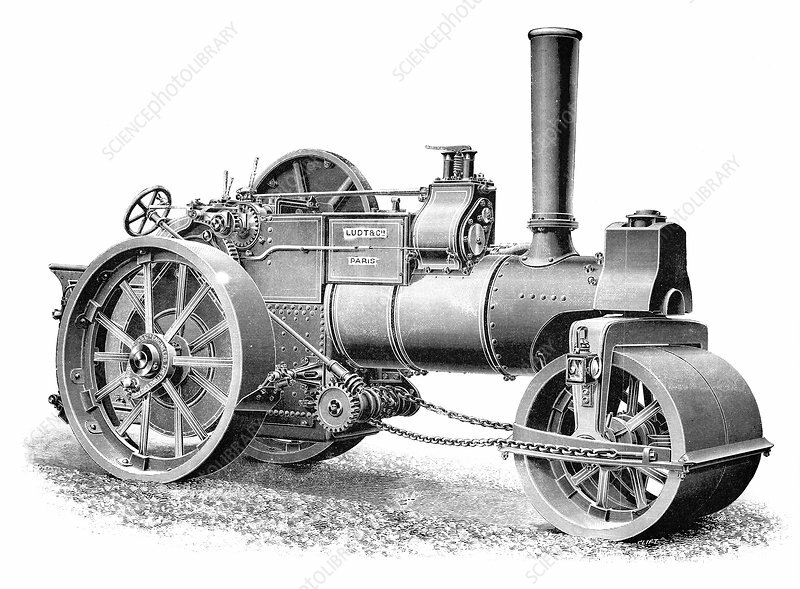 The first Burrell steamroller was manufactured in 1891. Steamrollers are typically used to flatten road surfaces during construction. The name plate at centre bears the name of Ludt and Company of Paris, France. Artwork from the first volume (1897) of 'La Revue Scientifique et Industrielle' by French chemist and inventor Jules-Louis Breton (1872-1940).